Create a Program Via PWCT(Programmong without Coding Technology) | ODosta Inc. It is very difficult to built a program with coding for any user at the early time. I was used HTML coding to design a website but a bit code is missed and the whole template is dismissed It is Just like that you need to enter code to create a Software. PWCT is abbreviation for (Programming Without Code Technology). A new programming language created by Mohamed El-Fay ed to create applications without writing the code. It is one of the Visual Programming languages. Software development tool are designed for common users to give them the ability to create any application easily they need without previous knowledge of computer programming where the user will start to learn how to make a program and will understand the programming concepts using this tool step by step and without any need to write code with his hand at all where programming done for general purposes. 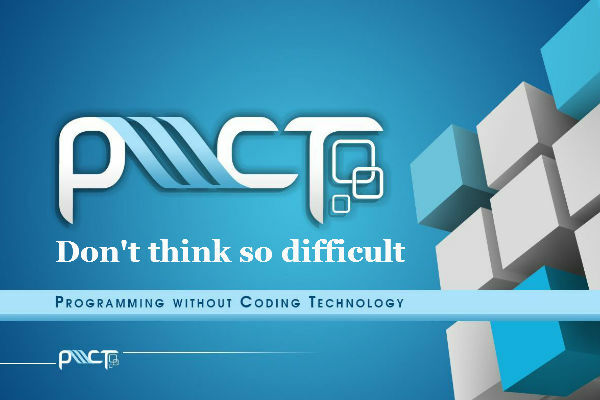 Unlike other visual programming languages, PWCT is not limited and target also professional and mainstream programmers by giving them more productivity than any traditional text based programming language. Programming Without Coding Technology is a Free Open Source Visual Programming Language to create new General Purpose Visual Programming Languages that are a practical alternative to Text based Programming Languages. If you want to Get this app, please tell us, So that we may send a product link to you via email.